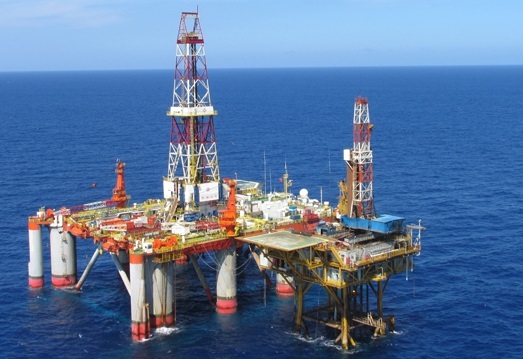 Canadian offshore exploration company Husky Energy proceeds with long delayed West White Rose project in the Atlantic off Newfoundland. According to the company’s release it would use a fixed wellhead platform tied back to the SeaRose floating production, storage and offloading (FPSO) vessel. The platform, which has received regulatory approval, will enable Husky Energy to maximize resource recovery. The project will provide at least 250 jobs plus royalties, equity and tax benefits expected to top 3 billion USD for the provinces Newfoundland and Labrador that has reeled since the oil price collapse. The first oil is expected to flow in 2022 and the project is anticipated to achieve a gross peak production rate of approximately 75,000 bpd in 2025, as development wells are drilled. The location and set-up allow for easier shipments top Canada and China, which will be the main destination of the field’s oil. “It’s a happy day. We’d like to start work almost immediately”, said the senior Atlantic vice-president for Husky Energy, Malcolm Maclean. “Increasing the amount of oil that we thought we could recover from the platform helped the economics. We’re confident we can recover more than twice the oil that was originally expected to be recovered from the field in 2005”, added he. Husky has a working interest in the field of approximately 70%. The project partners are Suncor Energy and Nalcor Energy – Oil and Gas. Husky Energy is one of Canada’s largest integrated energy companies, headquartered in Calgary, Alberta. The Company operates in Western and Atlantic Canada, the United States and the Asia Pacific Region, with Upstream and Downstream business segments. The company is controlled by Hong Kong billionaire Li Ka-Shing, who owns a majority share of approximately 70%.